I Have a Great Savior! 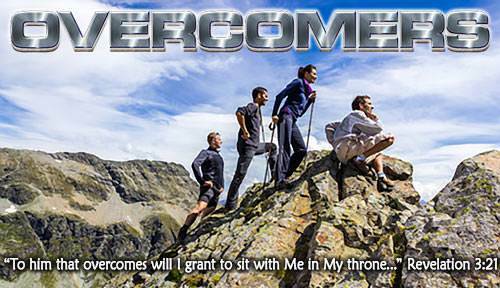 Lesson 1 Questions in "Overcomers"
Lesson 1: I have a Great Savior! b) perfect but not complete. a) stories written about His life. b) the Word of God. a) believe what God says in His Word. b) beg God to do something. a) I simply gain more knowledge. b) the Holy Spirit makes real in me what Christ has done for me. a) came into being as the result of a giant explosion. b) was created by God the Son, the Lord Jesus Christ. a) raising Jesus from the dead. a) a place of great honor. b) the place of highest honor. a) the city made of pure gold. b) how Jesus is honored there. a) becoming successful in the world. b) doing what God wants us to do. a) that they would sit with Him in His throne in Heaven. b) an easy time in the world.